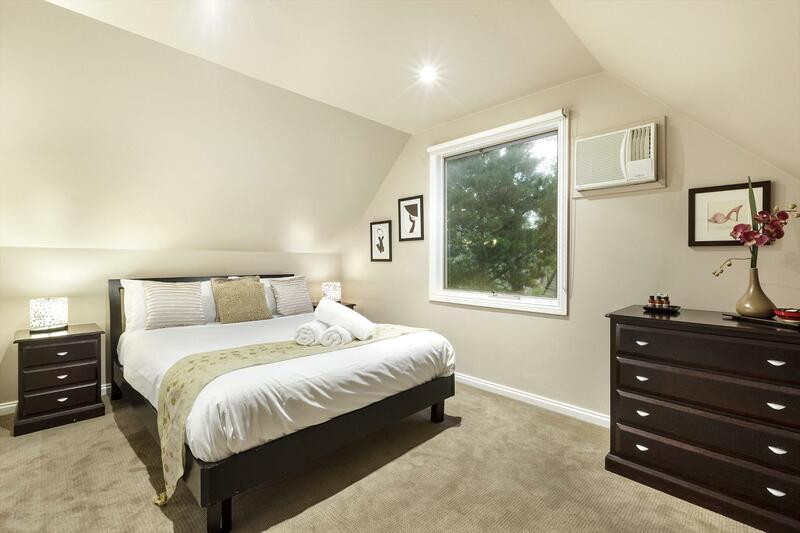 Briars Cottage is a warm and cosy two bedroom property at scenic Daylesford, with breathtaking views of Doctor’s Gully. Perfect for a romantic getaway, you’re in a beautiful secluded spot yet close to the town centre. This is a charming scenic cottage perfect for a romantic getaway. Briars Cottage includes a fully equipped kitchen, comfortable living areas, ducted heating, air conditioning, electric barbecue and flat screen TV, DVD player and free DVDs. Relax in the outdoor spa looks out over Doctor’s Gully with a glass of your complimentary wine. You’re close to Daylesford, with many dining options and nearby wineries. For those who enjoy the savory and preserved delicacies, Istra Small Goods has the best salami and imported pickles and chutneys. If pampering is high on your to do list, head to the Hepburn Bathhouse and Spa for great healing and beauty treatments. Daylesford is 115km North West of Melbourne. Cancellations made greater than seven (7) days prior to the check-in date will result in the loss of deposit. Cancellations made seven (7) days or less prior to the check-in date will be subject to payment of the full value of the reservation. Rescheduling of reservation dates requires a minimum of thirty (30) days’ notice or by arrangement. Any reservation date changes under 30 days or less notice and will incur a $50 processing fee. 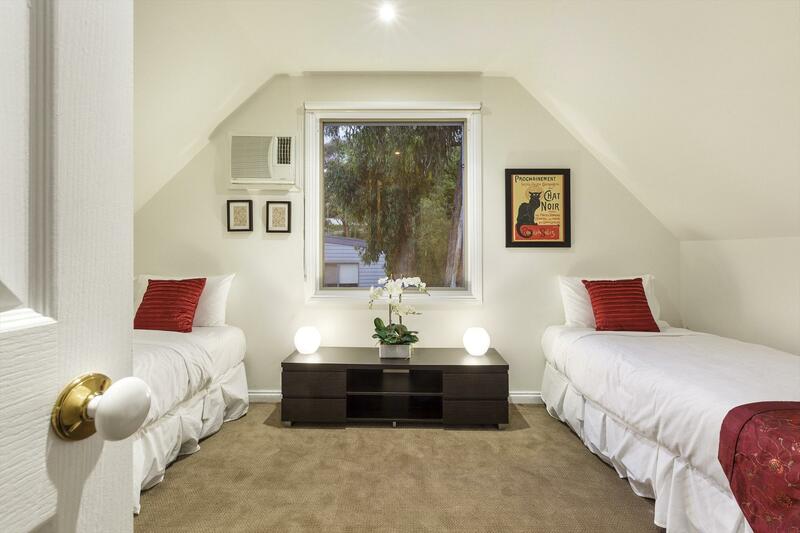 Briars Cottage offers a one bedroom option for two people, sleeping a queen size bed. The second bedroom will simply locked off during your stay. Self-Catering (no meals included) and self-contained property. There is no charge for children with existing bedding. Briars Cottage is a beautiful two bedroom house, offering a queen size bed in the master bedroom and two single beds within the second bedroom.